April 10, 2019 Visiting clients and holding events in Shanghai May 20-21st and Beijing May 22-23rd in honor of the publication of our book "Trading on Sentiment" (Wiley, 2016) in simplified Chinese. April 09, 2019 Visiting clients and holding events in Hong Kong May 13-14th and Tokyo May 15-17th. April 02, 2019 We opened our newest office at 575 5th Ave, 18th floor, in NYC! Feel free to reach out to Jenn Goldson there - Jenn at marketpsychdata com - to learn about our products. ~ Jennifer Szalai. Jan. 16, 2019. New York Times. "O.K., Google: How Much Money Have I Made for You Today?" Forecasting behavior is profitable. But behavioral manipulation is far more lucrative. Lately the media is angry with Facebook. There are the privacy violations, election influence, partisan bias, and a variety of other real and perceived wrongs. The righteous indignation in the press about Facebook is a bit ironic - the same style of angry click-bait headlines targeting Facebook are also widely shared by Facebook's algorithms to grow engagement on the site. The snake is eating its own tail. At MarketPsych we monitor media emotions - like anger - to predict economic behavior. In our newsletter last May we described an investment strategy based on media anger such as that being expressed at Facebook. When the media expresses a high percentage of righteous Anger at a company - such as VW after the diesel emissions scandal, or Nike after sweatshop accusations - such stocks on average outperform their benchmark indexes over the following year. Facebook's (FB) stock outperformance in 2019 is an example of this phenomenon. Facebook's exponential annual revenue growth ($55 billion in 2018) is evidence of the profits derived when a business can - to a surprising extent - shape their own clients' behavior. Today's newsletter is not about investment strategies, but something more urgent. On a personal level, modern tech tools know so much about us - our likes and dislikes, content of conversations with others, locations, second-to-second activities, and even our emotional triggers. With prompts and messages catered to our inner emotional life, tech can alter our behavior to fulfill its own objectives - profit. Today's newsletter is a brief review of the business of behavioral manipulation and its important implications. It's true that behavioral manipulation has long been the goal of advertisers and propagandists. But the scale and precision of such manipulation has never been so sophisticated and the knowledge of human fallibility has never been so extensive as it is now. Interfering in other nations' political processes crosses a red line. It is undeniable that Russian intelligence services influenced the 2016 US elections outcomes by nudging voter behavior. (The Mueller Report indicates the Trump team was not involved). The manipulation relied upon the fact that voters are emotional, their emotions can be aroused by social connections, news, and images, and they are unaware of these influences. See this exhaustive Wikipedia page on the 2016 election interference and the ongoing Russian-sponsored influence operations. On a personal level, Facebook, Amazon, Google, and others direct micro-targeted advertising at us. This advertising is intended to pry open our wallets, and it is increasingly effective. Here's a terrific and highly recommended summary of precisely how this is done, written by a data scientist. Facebook gathers data from many unrelated sources about you, including your cell phone location and web surfing habits. After you've clicked 10 Likes on Facebook, it can predict your personality and behavior better than a colleague, after 180 Likes better than your spouse, and after 300 Likes Facebook can predict your behavior (E.g., what you'd like to buy, where you would most enjoy vacationing and living, and even who you'd most enjoy marrying) better than you yourself. See this and this academic article on their personality profiling process. With such personal knowledge of you, advertisers and those seeking page views draw us into online relationships, outrage vortices, and compelling conversations that keep us interacting with an algorithm-fed distortion of reality. 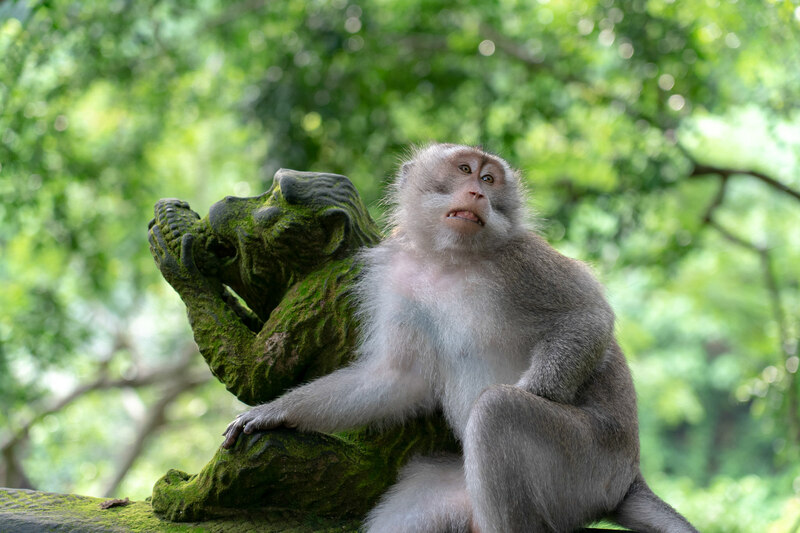 Like a monkey seeking comfort from a stone statue, we are emotionally engaging with the unreal. Yet the feeling of comfort the monkey experiences is real, and perhaps that is enough for it. The goal of for-profit business is to grow the bottom line. For internet companies profit is typically achieved by drawing attention and ad clicks. These objectives are sometimes in contradiction to the social good. If clients become addicted to surfing YouTube, then that's more advertising dollars for YouTube. If adolescents become addicted to the game Fortnite, a game with behavioral hooks to encourage ongoing play, more revenue goes into Epic Games. In this vein, Mark Zuckerberg himself recently appealed to government to take up regulation of such businesses, rather than delegating it to private companies. There are a few books addressing the topic. "The Four" by Scott Galloway offers a perspective on the business of big tech and human manipulation by Amazon, Google, and Facebook. I think Yuval Harari's clear but chilling diagnoses are the best big picture examination of this topic - see his two books Homo Deus and 21 Lessons for the 21st Century. For a more entertaining fictional version, Robert Harris' book The Fear Index addresses some of these issues in a sci-fi thriller format. ~ Sam Biddle. Feb 2, 2019. “A Fundamentally Illegitimate Choice”: Shoshana Zuboff On The Age Of Surveillance Capitalism." The Intercept. Where I grew up in Texas, an urgent and important life-changing conversation was called a "Come to Jesus" moment. Our society would benefit from such a conversation about tech and behavioral manipulation. Unfortunately, our innate biases may prevent this. Most people believe they have free will - maybe it's "the other guy" that is influenced by Russian propaganda, not they themselves. In fact numerous studies show that we are heavily influenced by the information catered to our emotional triggers - the entire field of advertising is predicated on this. And historically people were generally unaware (or unconcerned) that they were being subtly manipulated. The stakes seemed lower - maybe because the scale was smaller and democratic governance wasn't at risk. At MarketPsych our emotional investing strategies do not seek to change others' behavior. But this is a conversation we need to be involved in. We are, after all, forecasting economic events using emotional data from the media. We're at the forefront of behavioral forecasting, and we've seen - through some disturbing experiences of our own - how easy it is to alter economic behavior to serve one's interests. In the next newsletter we'll explain some of our revelations in this area. Our Thomson Reuters / Refinitiv MarketPsych Indices (TRMI) data feed measures and delivers real-time market psychology and macroeconomic trends from thousands of news and social media sites. The commercial Thomson Reuters MarketPsych Indices dataset includes granular themes and sentiments for 45 currencies, 62 sovereign bonds and stock indexes, 15,000+ companies and stocks, 36 commodities, 187 countries, and 150+ cryptocurrencies back to 1998 (2009 for crypto). If you're an academic interested in data for research, please reach out for access. If you represent an institution, please contact us. 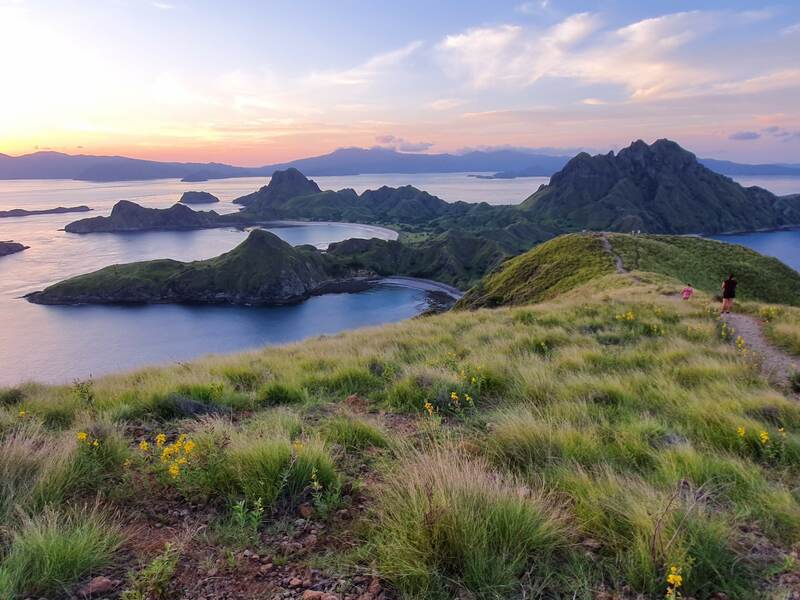 I'll sign off with a picture I took last weekend in Komodo National Park, a Jurassic Park-like region that technology hasn't yet penetrated. Pawan Island, Komodo National Park, Indonesia. Note: I didn't read the book "Surveillance Capitalism," due to weak reviews, but I did enjoy the dramatic quotes and so inserted a few above. Note 2: I'm now writing shorter newsletters so I can bump the frequency back to monthly. Copyright © MarketPsych 2019 , All rights reserved.